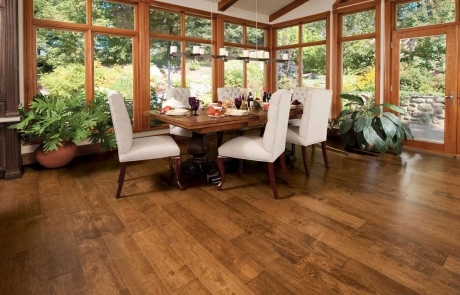 Mid Valley Wood Floors, LLC offers many different types of services. 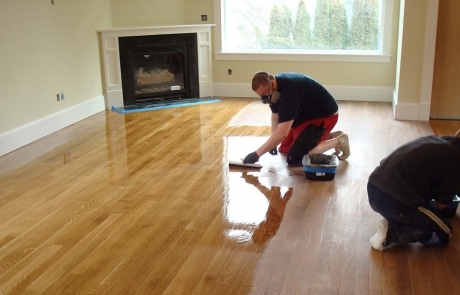 We take a lot of pride in our work, which includes all the hardwood varieties, sanding, refinishing, installation to all types of wood flooring, pre-finish installs, laminate installs, custom inlays, custom staining, and water damage repair. All refinished wood floors get three coatings of high quality Swedish finish or polyurethane, or acid curing urethane. We have finish that has low or high VOC, which can be discussed during an estimate to see what best fits your needs.